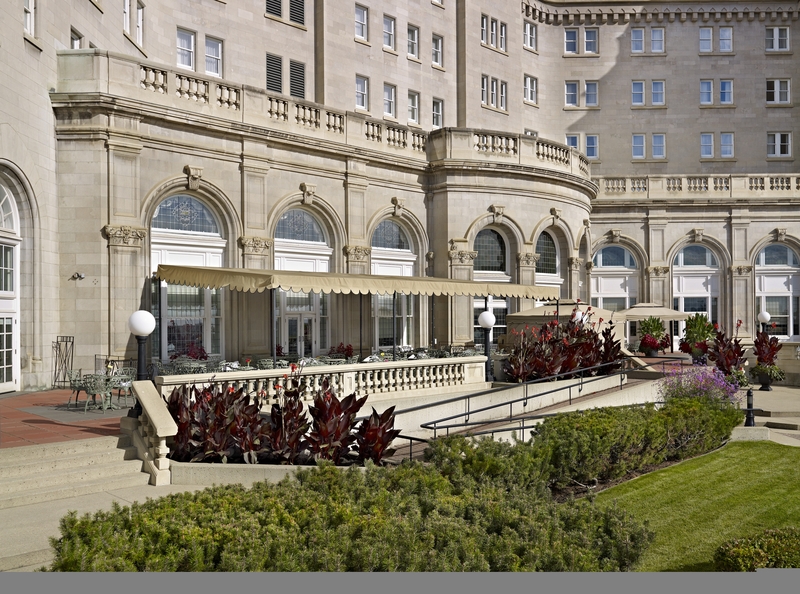 Ever since it opened its doors on July 5, 1915, the AAA Four-Diamond luxury Fairmont Hotel Macdonald has defined the Edmonton skyline. This historic property in the Western Canadian province of Alberta overlooks Edmonton's North Saskatchewan River Valley, which includes a majestic river and the largest urban parkway in North America. Guests have easy access to the River Valley's 100 miles of paths for biking, hiking and rollerblading. When in Edmonton, do as the Edmontonians do: There's also a network of 20 major parks to enjoy and plenty of water sports, from kayaking to fishing, which the hotel concierge can book for you. The Fairmont Macdonald, or "the Mac" as it's lovingly nicknamed by its loyal guests, is the namesake of Canada's first prime minister, Sir John A. Macdonald. The magnificent, copper-roofed chateau on the North Saskatchewan River was built in the French style used for many of Canada's original railway hotels. To celebrate its 100th year, you can find archival artwork and photographs on display throughout the hotel. If you miss the centennial celebration's open house in August 2015, ask the concierge to arrange an historic walking tour of the Mac and its grounds. In great royal fashion, take afternoon tea in the hotel's historic Harvest Room. 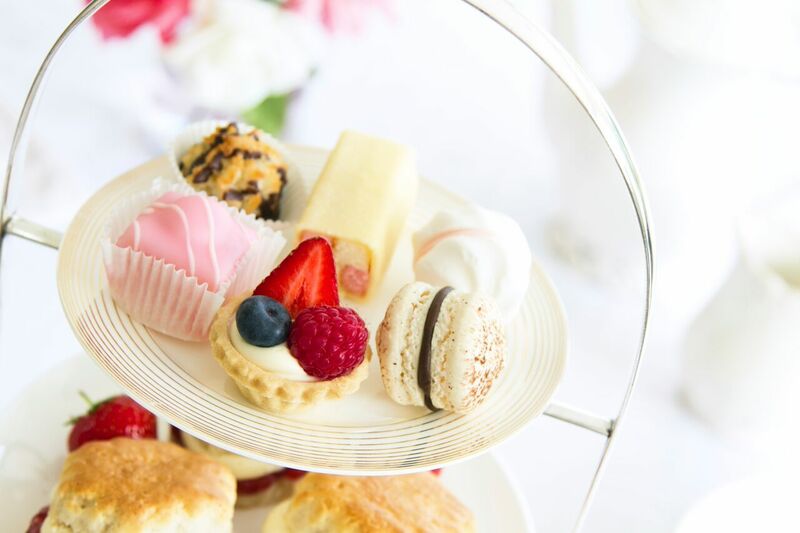 The offerings change with the time of year, but you can always count on a selection of loose leaf teas and scones with traditional Devonshire cream. As you sip your piping hot cuppa, nibble on seasonal temptations, such as shaved venison on a crostini and mincemeat pies. After finishing the last of your petite finger sandwiches or macarons, watch a special 16 minute film on the history of the hotel as imagery comes alive in 3D and then grab your chance to stroll through the Fairmont Hotel Macdonald on a hosted tour. Crane your neck up to the domed ceiling of the Wedgwood Room and glide daintily through the former Ladies Drawing Room. Following a visit to the Queen Elizabeth II Suite, where the monarch slept on several occasions, you finish your tour, weather permitting, with a turn around the scenic gardens. If you prefer a quiet, romantic dinner for two, the concierge can plan a private meal in the gardens. During the centennial year, order a bottle of wine created exclusively for the Mac by Castoro de Oro Estate Winery, a local producer handcrafting wines to reflect the local terroir. As the official supplier of the centennial wines for Fairmont Hotel Macdonald, Castoro de Oro offers its signature 2013 Heart of Gold white wine blend and a 2012 Merlot only at the Mac. To create another memorable al fresco dining experience, head to the patio off the Confederation Lounge. Recently voted one of the five best patios in Canada, its roaring fireplace and soft jazz music provide the perfect score to the breathtaking River Valley vista. You can feast on barbecue in the summer months or get cozy with warm alcoholic beverages on chilly evenings. A toasty favorite is the Blueberry Tea that combines Amaretto and Grand Marnier with hot orange pekoe. As you snack on truffle popcorn or the famed Canadian poutine, made here with fries, gravy and either butter chicken or bison, you can sample a favorite local libation, the Peaty Caesar. This twist on the popular Canadian cocktail makes its mark with scotch, Clamato juice, cumin, and Tabasco and Worcestershire sauces. Let the concierge line up a behind-the-scenes peek at one of Edmonton's most popular attractions. 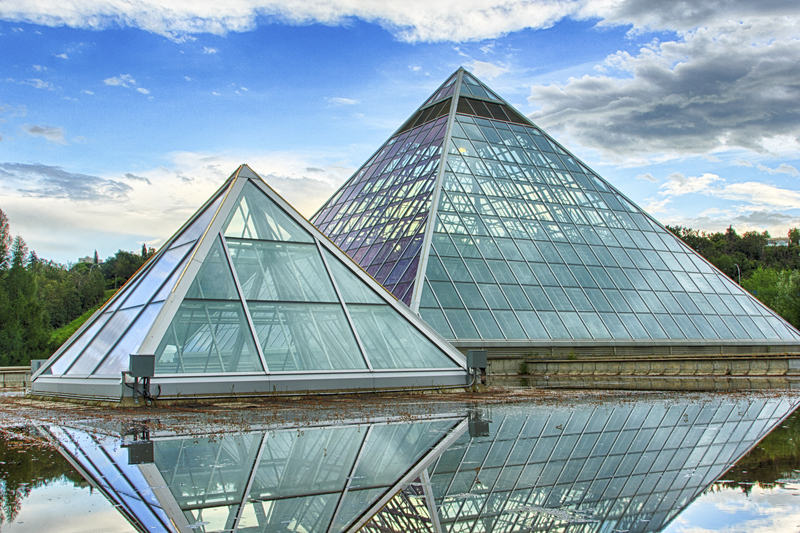 The Muttart Conservatory is a fascinating set of four glass pyramids housing natural biomes. An interpreter will explain the hundreds of global plants growing inside as you move from arid to temperate to tropical climes. The Winspear Centre For Music is a world-class concert hall in the Downtown Arts District. The centre's focal point is the Davis Concert Organ, manufactured in Quebec and boasting 6,551 pipes. Explore backstage with a private tour or take in one of the evening events. 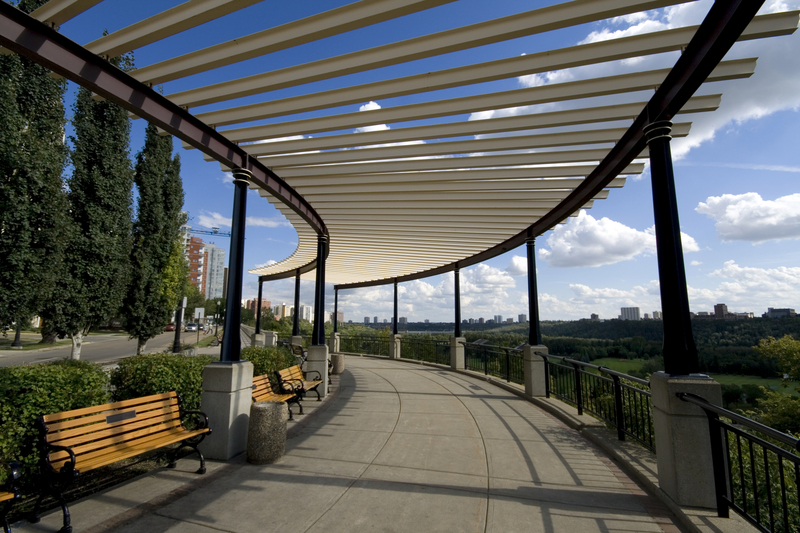 Just a short 10-minute stroll from Fairmont Hotel Macdonald, the 104th Street District, known locally as the 4th Street Promenade, was the first part of downtown Edmonton to undergo revitalization about 15 years ago. The old warehouse / loft district played a prominent role in the city's early fur trade. Today, the neighborhood that stretches from the old railroad tracks to the banks of the North Saskatchewan River is a vibrant area filled with independent restaurants, trendy bars, hip art galleries and fashion-forward local boutiques. Storied brick buildings from Edmonton's past fill the 4th Street area, each one is now host to some of the city's most creative artists, chefs and business owners. Be sure to check out the Birks Building at 10113 104 Street. Originally the flagship home to Henry Birks & Sons' jewelry business, the 1929 structure is adorned with tile, metal and decorative stone. There's a dramatic curved facade colored by marble insets and cast bronze panels. Are you ready to make memories at Fairmont's stately chateau on the river? Email the Fairmont Hotel Macdonald concierge at hotelmacdonald@fairmont.com or take advantage of our Summer Sale until September 30, 2015. Susan Lanier-Graham has been traveling the world and writing about food, wine and luxury destinations for 30 years. She loves filling her passport pages with stamps and visas and has visited every continent except Antarctica. Susan’s luxury travel articles, focusing on experiencing local cultures, have appeared in such publications as Luxe Beat Magazine, Modern Luxury, Montage and Rosewood Magazine.